Peopleware asserts that most software development projects fail because of failures within the team running them. 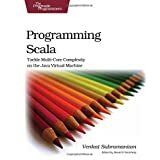 This strikingly clear, direct book is written for software development-team leaders and managers, but it’s filled with enough commonsense wisdom to appeal to anyone working in technology. Authors Tom DeMarco and Timothy Lister include plenty of illustrative, often amusing anecdotes; their writing is light, conversational, and filled with equal portions of humor and wisdom, and there is a refreshing absence of “new age” terms and multistep programs. The advice is presented straightforwardly and ranges from simple issues of prioritization to complex ways of engendering harmony and productivity in your team. 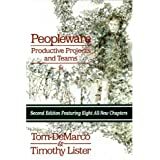 Peopleware is a short read that delivers more than many books on the subject twice its size.